The National Association for College Admission Counseling (NACAC) has issued a statement on Affirmative Action. When the Supreme Court of the United States issued their decision in the Fisher v. University of Texas at Austin case recently, NACAC (the National Association for College Admission Counseling) issued a statement that we thought we’d share a bit of for our readers. 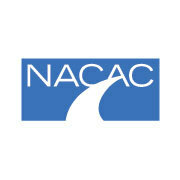 The Founder of Ivy Coach, it should be mentioned, is a member in good standing of NACAC. If you’re considering hiring a private college counselor, make sure that this private college counselor is a member of NACAC as it’s a good way to distinguish credible private college admissions practices from hacks. It seems that NACAC is pleased that race can still be used as a factor in admissions decisions in the interest of supporting diversity at universities across the United States. While this decision will likely not have any major impact on college admissions right now, colleges will have to be more circumspect with how they incorporate race as a factor in admissions. Just that extra bit of caution may lead to some changes in the admissions process.